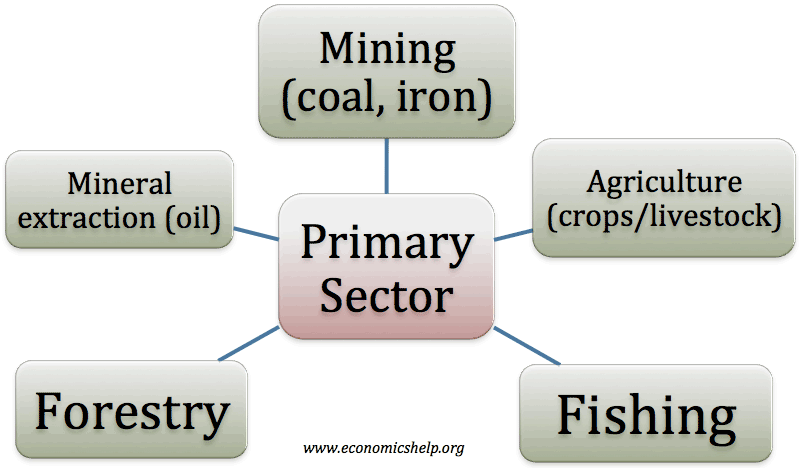 What is the primary sector? The primary sector is concerned with the extraction of raw materials. It includes fishing, farming and mining. In less developed economies, the primary sector will comprise the biggest part of the economy. Typically as an economy develops, increased labour productivity will enable workers to leave the agricultural sector and move to other sectors, such as manufacturing and the service sector. 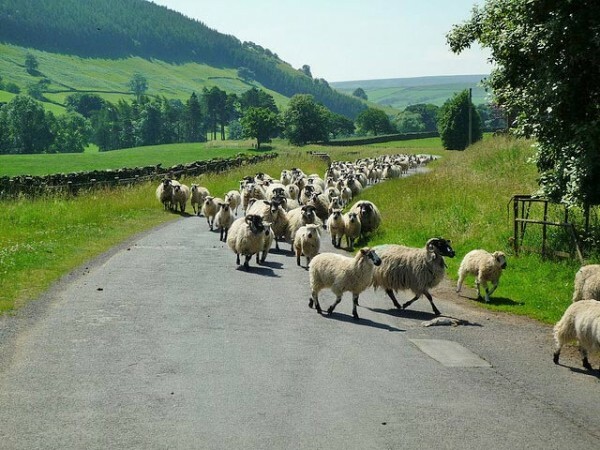 In the UK, about 3% of the labour force is engaged in agricultural production. Export revenue. Making use of natural resources can be a way for an economy to gain income and export revenue. The sale of oil, gas and other natural resources have enriched many developing economies enabling them to gain capital to invest in public services within the economy. Some oil-rich countries have successfully used the increase in revenue to save for the future, e.g. Qatar, Saudi Arabia, Norway. Monopoly power. One problem with relying on the primary sector is that often wealth becomes inequitably distributed. For example, a small number of firms gain monopoly power over the production of raw materials and pay workers only a small fraction of the revenue gained. Many developing countries in Africa have remained poor, despite being rich in raw materials. A large primary sector is not sufficient on its own to lead to economic development. Volatility. Primary products are liable to be volatile in both price and output. Commodities, such as oil and foodstuffs can see large swings in price. Demand is quite price inelastic. If prices fall, then countries which are based on one particular industry can see a large fall in revenue, causing problems. The EU retains significant support for EU agriculture through subsidies and price support. ‘Dutch Disease’ If primary products are very profitable, then the resources will be diverted away from other manufacturing industries and concentrated on just primary industries. The problem is that when the raw materials run out or the industry declines, the economy lacks a broad diversification. This can be known as the ‘Dutch disease’ or resource curse. Deindustrialisation. In developed economies we have seen a decline in primary sectors, as they take a smaller share of the economy, this can lead to structural unemployment for a period. 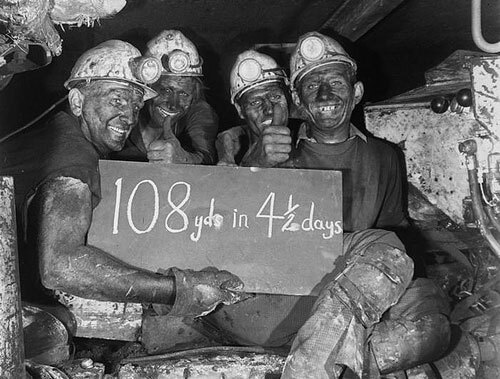 At its peak, the UK coal industry used to employ 1.2 million workers in this coal extraction. (the 1920s). A question: Are these the oldest activities?